If you have ever fancied yourself as something of a budding James Cameron, then ViewSonic's new budget 3D camcorder could well be worth putting on your list to Santa this year. 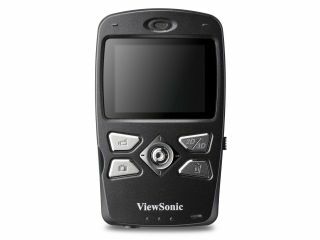 The ViewSonic 3DV5 is a mere £150, which makes it easily one of the cheapest options for getting into 3D home movie-making. Not only that, the ViewSonic 3DV5 is also capable of shooting 720p HD video, and will let budding movie mavericks upload their efforts directly to YouTube's 3D channel. You can check out your efforts with ViewSonic's supplied anaglyph glasses, which are cheap and cheerful and pretty basic – but hey, what do you want for £150? The 3DV5 has a 2.4-inch autostereoscopic display so you can watch your movies back without glasses, for those that don't like the 3D specs look. "The ViewSonic 3DV5 makes it easy for anyone to create future-proof, high quality 3D home movies and also shoot in standard 2D," said James Coulson, European product marketing manager, ViewSonic. "Everyone has watched 3D movies at the cinema, and lots of people are considering purchasing a 3D compatible display, whether a TV, monitor or projector. However, there is a lack of available 3D content, and people want to create 3D content that they will be able to watch for years to come." "The ViewSonic 3DV5 is simple to use, featuring a one-touch recording function and the ability to quickly switch between 2D and 3D recording modes. "Once users have recorded their content, then they can either plug the camcorder into their computer via USB, or plug it directly into a 3D TV using the included HDMI cable," adds ViewSonic's 3DV5 release.